Israeli President Reuven Rivlin and Prime Minister Benjamin Netanyahu on Wednesday met with visiting Togolese President Faure Gnassingbé to discuss cooperation between the two countries. 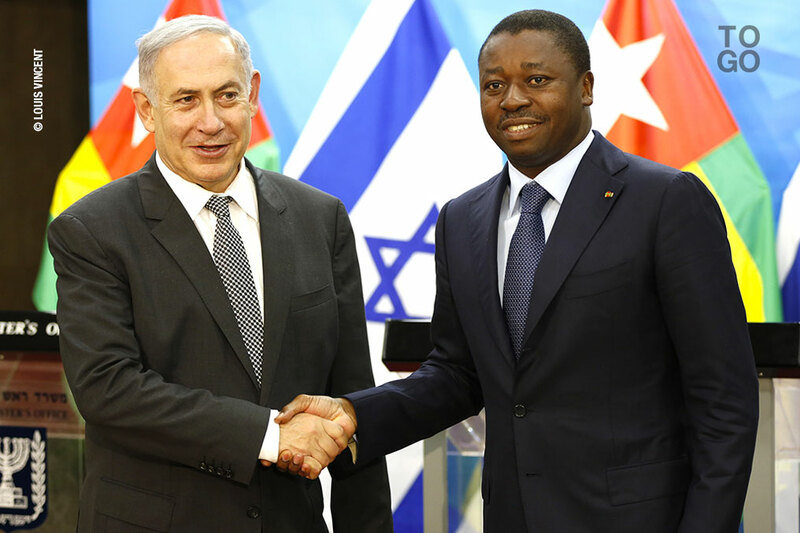 Togo is one of Israel’s strongest friends in western Africa, as evidenced last September when it joined Rwanda, Kenya and Burundi to support Israel at a key vote at the International Atomic Energy Agency. During the Wednesday meeting, Rivlin told his counterpart from Togo that his country’s ability in agriculture, together with technological capabilities will be shared with the West African nation. According to Prime Minister Benjamin Netanyahu, Faure Gnassingbé’s visit comes at a very important time for Israel’s relations with Africa. “I must say that I think the sky is the limit in all areas, I mean: water, agriculture, technology, health, education, tourism, security and every other field,” the prime minister noted. ‘‘I’d like to talk to you about our mutual relations but also how Togo can further assist us in the great return to Africa. I think it’s long overdue. And it’s important for the countries of Africa and for Israel,” he said. Prime Minister Benjamin Netanyahu recently visited several east African nations and made of renewing Israeli-African relations and strengthening economic ties a priority. Posted by Emmanuel Agbenonwossi on August 11, 2016. Filed under Zoom. You can follow any responses to this entry through the RSS 2.0. You can skip to the end and leave a response. Pinging is currently not allowed.